Weather forecasts are calling for strong winds in the early morning on Saturday and extending until around noon on Saturday when the predicted thunderstorms roll through. Sustained south and southeast winds between 35 and 40 km/hour are expected early Saturday morning with gusts up to 60 km/hour before diminishing in the afternoon. Environment Canada’s marine forecast suggests that wind over Lake Erie could reach sustained speeds of 46 km/hour as early as this afternoon. Wave heights are expected to reach approximately one metre subsiding to half a metre Saturday afternoon. 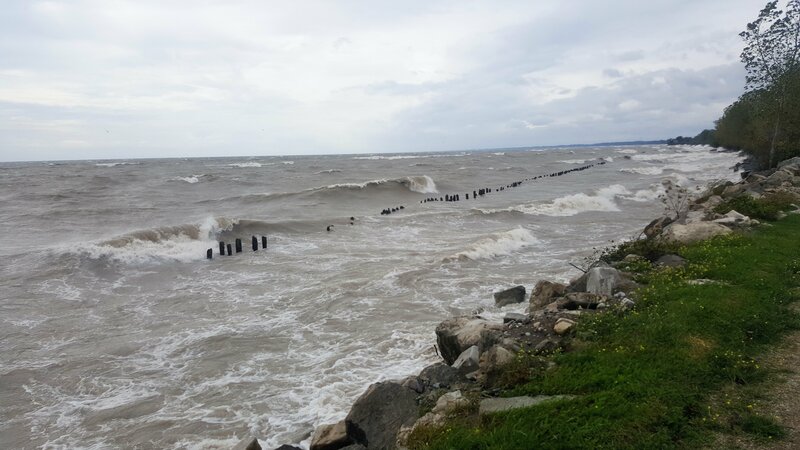 Over the last year and a half, flooding has occurred along Erie Shore Drive in Chatham-Kent when the area experiences sustained winds above 35 km/hour from a southerly (southeast through southwest) or easterly direction. As the forecasted wind speeds and direction meet this threshold, there could be flooding along Erie Shore Drive in Chatham-Kent over the next 24 hours. The forecasted wind conditions are similar to, or slightly less, than what has been experienced during the wind events over the last few weeks. Residents in vulnerable areas along the Lake Erie shoreline should pay attention to local conditions and prepare accordingly. People should take extra caution and avoid the shoreline should conditions get rough. The waves can be strong and the shoreline slippery. There could also be hazardous debris within the waves and water which could be thrown onto the shore. Standing water can also present unseen hazards. Children, pets and livestock should be kept away from the water. Officials will continue to monitor the situation and update this advisory if necessary. Contact: Jason Homewood (jason.homewood@ltvca.ca) regarding this message. This message will be in effect until 22 July 2018.